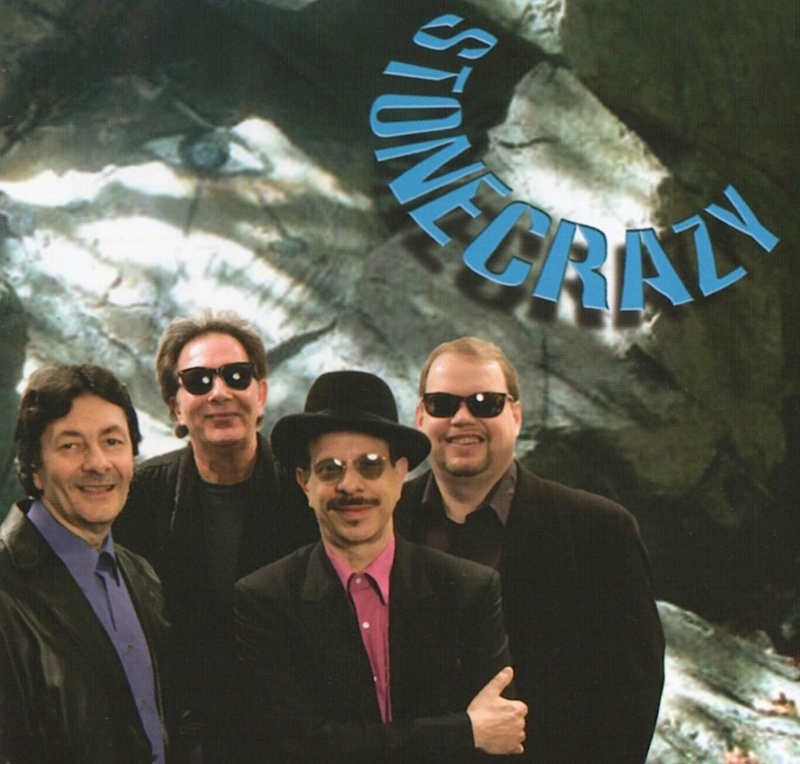 The four members of StoneCrazy are Babe Pino (vocals, harp), Ken Pino (guitar), Danny Klein (bass) and Mark Hylander (drums). Babe Pino, harp and vocals: Muddy Waters called Babe “one of the finest harmonica players in the country.” As front man for the Babe Pino Blues Band and Babe Pino’s Boston Blues Band, Babe and his brother Ken opened for the giants of the Blues and Jazz world…B.B. King, Muddy Waters, James Cotton, The Buddy Rich Big Band, Freddie King, Buddy Guy, Junior Wells Bonnie Raitt and The J.Geils Band. Ken Pino, guitar: Guitarist for W.C.Handy and Grammy Award winning Johnny “Clyde” Copeland for ten years and recorded seven albums with Johnny, three of which were Grammy nominated. Simon Wilkinson of The Advertiser, Adelaide, Australia wrote in his review “…at times he (Copeland) was overshadowed by the considerable talent of the band’s rhythm player, Ken Pino.” Kenny also toured widely with Hubert Sumlin, Magic Slim, Joe Hughes, Johnny Johnson and Debbie Davies. Danny Klein, bass: DK, “Ace on Bass,” is a founding and current member of The J.Geils Band who recorded seventeen hit albums. Thomas Wictor of Bass Player Magazine says “…When it comes to pulse pounding dance music, Danny Klein is simply one of the best bass players around. His grooves are punchy and exciting, and he spices things up with string popping, snaky slides and a gritty macho tone though echoes of funk and R&B can be heard. His playing defies categorization – it seems more intuitive than anything else. It would be hard to find a more infectious bass line than “Freeze Frame,” and “Flame Thrower” has to be one of the greatest party songs ever written.” He recently toured nationally and in Europe with Debbie Davies for two years. Mark Hylander, drums: “…Mark Hylander is a solid drummer!” says Variety. Mark has twenty six years of professional drumming experience. He has toured extensively and recorded with many bands including Duke and the Drivers, West, and the Swinging Johnsons. 09/16/04 – Mojo Blues Bar at Florentinas, 143 Main St., Cambridge. 09/17/05 – Johnny D’s Uptown Restaurant & Music Club, 17 Holland St, Davis Square, Somerville, MA. STONECRAZY CD release party!